In his discourse on religion, Tagore repeatedly asserts the deep personal bonding with the Almighty. This sacred communion manifests itself in the absolute identification of the atma, the transcendence of ‘the utmost bounds of his humanity and find himself in a pure state of consciousness of his undivided unity with Parabrahman’. In the words of the bard: ‘To this Being I was responsible; for the creation in me is his as well as mine.’ This personal bonding, as Tagore clarifies in The Religion of Man, paved the way for a much deeper consciousness. It is this personal or individual exploration of spirituality that is crucially and critically significant in the present world scenario, where the nasty over dominant voice of fanaticism occasionally tends to drown the iconoclastic unorthodox voice of individualism or individualized cult of independent thinking. The drowning or abnegation of the autonomous voice today permeates several aspects of life, often encroaching upon the creed of freedom and worship of the individual artist, irrespective of the field of exploration. But the central question remains as to how Tagore’s philosophy can offer succour in such times of anguish, despair and spiritual sterility? Readers and followers of Tagore are well conversant with the notions of mysticism, pantheism, Upanishadic monotheism (as advocated by the Brahmo faith). However, it is significant to remember the relevance of these notions in the contemporary world. Much beyond conventional religion and practice of rituals, Tagore asserts the utmost importance in the espousal of the cause of altruism, humanism, love and philanthropy. Tagore’s cult of faith repeatedly underlines the significance of personal space, solitude and the constant process of revision and evolution of the belief system or spirituality in an individual’s life. These little explorations in this private space leads to an illumination of the mind aiding in the transcendence of the parochial boundaries of orthodox religion, to which an individual is born. Such transcendence is an imperative to blur the margins between all forms of organized religion and participate in the quintessential sacred essence of various forms of faith. Faith in that sense is not a limiting factor but a gateway to the limitless ocean of infinity, love and humanism. Writing to Mahatma Gandhi in March 1933 Tagore pointed out: ‘It is needless to say that I do not at all relish the idea of divinity being enclosed in a brick and mortar temple for the special purpose of exploitation by a particular group of people. Tagore did not hesitate to criticize the social injustice in the name of religion. 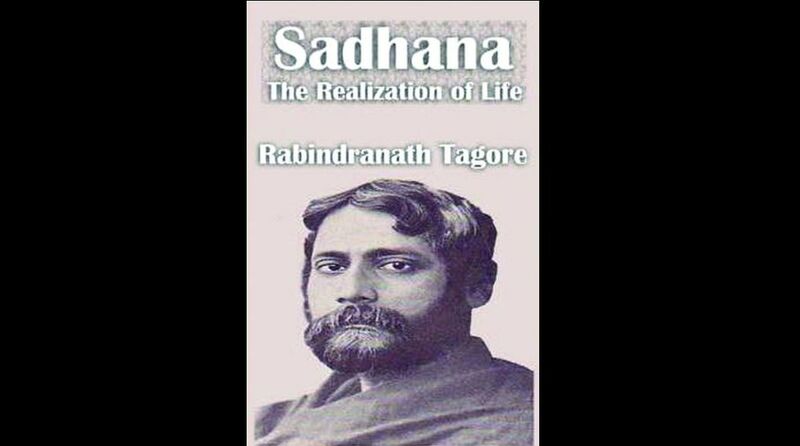 Writing to Mahadev Desai from Santiniketan (4January 1937) Tagore vindicated his humanism by sternly criticizing the social injustices perpetrated throughout the ages in the name of religion. In the present context, in tune with Tagorean philosophy, it is imperative to foster among all individuals a deep consciousness of the fundamental unity of all religions. The writer is the Dean of Arts, St Xavier‘s College, Kolkata.